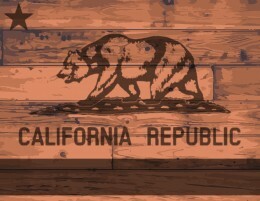 That’s the question many medical cannabis business owners, investors and entrepreneurs are asking now that California is poised to enact statewide medical marijuana regulations via three separate bills that lawmakers approved late last week. Altogether, the bills include 79 pages of new regulations that the industry must adapt to – provided the governor signs the measures. He has until Oct. 11 to do so, and many observers expect him to green-light the bills in short order. There’s also still likely another year of further rulemaking that a state commission will start working on in January. Add at it all up, and there’s a lot of uncertainty in California’s $1 billion MMJ industry, not least of which is how much it will ultimately cost businesses to comply with new regulations and whether the medical cannabis business community will grow or contract. “Boy, do I have mixed feelings about this thing,” said Dale Sky Jones, the executive chancellor of Oaksterdam University and chair of the Coalition for Cannabis Policy Reform, which is working on a 2016 ballot initiative to legalize adult-use marijuana. While she’s happy that the state has finally approved a regulatory system, there are still a lot of problems and questions, Sky Jones said. As with any immense new regulatory effort, businesses will cheer some rules and pan others, and there are many benefits as well as drawbacks. A lot of existing companies, especially ones that skirt existing law, will likely be forced out of business by the new rules, California industry experts expect. But those that can make the transition to a regulated market over the next couple years will be stronger than ever. “It’s going to mean a lot for those businesses who are ready to be regulated or taxed… those people are going to be big winners,” said attorney Aaron Herzberg, a partner at CalCann Holdings in southern California. Here are some of the biggest business-related issues and takeaways, based on conversations Marijuana Business Daily had with several stakeholders. One of the biggest elephants in the room is a “lack of clarity on profitmaking” in the new regulations, as a press release from Harborside Health Center put it. Under California law, all MMJ businesses have to be not-for-profit institutions, which has been a thorn in the side of many entrepreneurs. While some observers trying to interpret the rules say they will allow for-profit businesses – since all the language in the bills refers to “commercial” marijuana activity – that might not be the case, said retired judge Steven Lubell. In a summary of the regulations, Lubell wrote that the bills will not change the state Health and Safety Code, which protects MMJ business operators from criminal liability as long as they don’t distribute cannabis for profit. The problem is that the measures don’t explicitly address the point, Lubell said. “It would’ve been far easier if the legislature had stated it one way or the other,” Lubell said in an email. The ambiguity of the profit issue and other aspects of the rules underscore the need for lawmakers to clean up some of the language in the regulations and perhaps pass additional legislation in coming years. 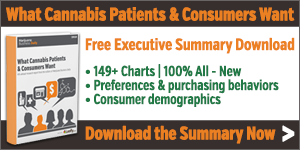 Dispensaries: Vertical or Horizontal Integration? One of the biggest and most interesting parts of the new law is a complex set of licensing rules, including a section that gives dispensary owners a choice between combining their operations with grows and edibles manufacturers or setting up a retail chain. There are two types of dispensary licenses that operators can win. The first, called “general,” would allow for chains to be set up. The second would limit dispensaries to three retail sites but would allow such licensees to apply for permits in other sectors of the business, including cultivation and edibles production, if the company wants to go that route. “The general dispensary license has no limits on horizontal integration. You can own as many retailers as you want, but you’re restricted to only doing retail. And the (second dispensary license type) allows limits to horizontal integration at three, but allows some vertical integration,” explained Hezekiah Allen, the executive director of the Emerald Growers Association, an advocacy organization for cannabis cultivators. Sean Donahoe, a political consultant for the cannabis industry, said he already has three clients who want to take advantage of the opportunity to start chains up and down California. But, he said the choice between vertical integration and having more than three dispensaries was a deliberate one by the state, to control the size and influence of cannabis companies. “The rationale behind the license types, from the perspective of the state as well as law enforcement as well as rural counties, was that they didn’t want to see Big Marijuana coming up with profound political influence in certain areas,” Donahoe said. The new regulations force legal businesses to eventually obtain both a state and local license in order to continue operating, which could pose a problem for edibles companies in particular, not to mention unlicensed cultivation operations. Marshall, who asked that his business’s location not be disclosed, said he may have to relocate in order to stay in business if city officials decide they don’t want an edibles producer around. Other edibles makers will probably face the same quandary. Donahoe, an industry political consultant who was closely involved with the negotiations over the regulations, said he thinks the state rules will actually encourage more cities and counties to get involved in the cannabis trade. Donahoe suggested that a number of local governments that don’t want dispensary storefronts could still authorize less visible companies, such as growers and edibles makers and testing labs. He sees the industry growing because of the new rules and couldn’t think of a scenario in which it winds up shrinking. The regulations are also designed, in a lot of ways, to protect existing businesses without really encouraging new growth. That’s evident to a degree in a two-part rule on licenses, which will forbid some dispensaries from holding licenses in any other permit category but will grandfather in existing companies that both grow and dispense MMJ. In a nutshell, vertical integration won’t be an option for dispensaries that aren’t already growing their own cannabis – or for any company that wants to have more than three retail locations. Derek Peterson, the CEO of Terra Tech and private owner of Oakland’s Blum dispensary, said that’s disappointing. “I would have liked to see new businesses be able to come to the table with vertical integration,” said Peterson, whose Blum operation has been growing its own MMJ for years. Others have a different view, however. What’s needed most is regulation for existing companies, countered the Emerald Growers Association’s Allen. One of the biggest questions surrounding the new rules: How much will it cost to apply for and obtain licenses as well as comply with the regulations? Even those closest to the negotiating process have no good guess about potential costs. License fees and taxation levels have yet to be determined, and it’s unclear how the state will approach this issue. A lot of production companies will almost certainly have to shell out for new packaging. Rules will be put in place for water usage, which growers will have to adapt to. Edibles companies are still in limbo because they’re not qualified as either food or medicine by the new law, and there are no rules yet on doses or potency caps. There will also be a statewide limit established at some point as to how many edibles producers will be allowed to use “volatile solvents,” but even that term isn’t really defined in law. That’s another question that’s been left to future rulemaking. There will not, however, be a cap on edibles companies that don’t use volatile solvents. “The edibles regulations are very sparse in this document. Almost too sparse,” said Julianna Carella, the CEO of edibles producer Auntie Dolores. There’s also a question of how the new rules may affect the campaign for recreational in 2016, Sky Jones said. She said she’s been having flashbacks since Friday to 2010, after then-Gov. Arnold Schwarzenegger signed a marijuana decriminalization bill into law, and then a recreational legalization initiative failed at the ballot box. 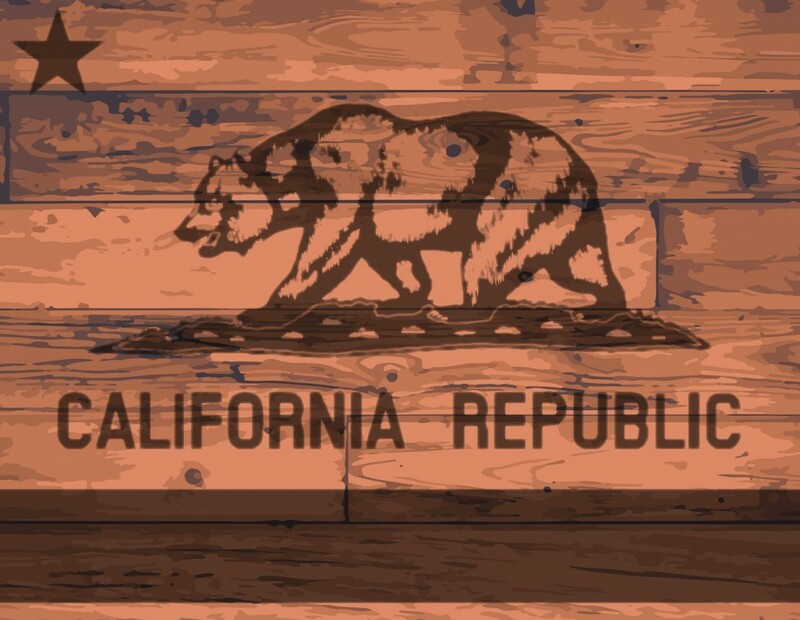 The reality of the situation is that the passage of a statewide regulatory system in California isn’t the end of the conversation about cannabis industry laws – it’s just the beginning.